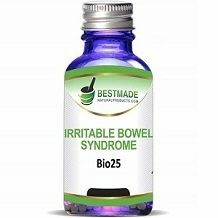 Bestmade Irritable Bowel Syndrome is the focus of our review in this article. 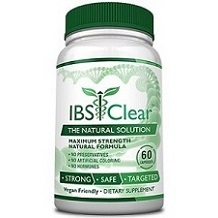 The maker’s of this dietary supplement claim that it can help provide Irritable Bowel Syndrome (IBS) relief as well as acid and gas relief in the intestines. Bestmade Irritable Bowel Syndrome contains Nat Phosate, Nat Sulfate, and Silicea. It claims to help provide relief and eliminate gas, bloating, vomiting, and indigestion. The product does not contain preservatives, binders, artificial color, or artificial flavor. This product is lacking crucial ingredients such as natural digestive enzymes which help break down food. It also lacks BioPerine – an essential ingredient as it increases the product’s bioavailability and absorption of the nutrients. Lastly it lacks soothing ingredients that lessen inflammation such as peppermint oil and turmeric. The manufacturer suggests that adults take 3 to 5 pellets and dissolve them under your tongue. This should be taken 3 times per day. Children need to take half the adult daily dosage. You may also consult a homeopathic doctor on when and how to take the supplement. The manufacturer does not indicate if the product should be taken with a meal or not or if there are preferred tomes of day to take the tablets. Consult with your healthcare provider before using this product. You can purchase this product online from the manufacturer’s website. Each bottle costs $27.99. We could not determine how many tablets are contained in each bottle so cannot determine if this is good value or not. At a dose of 15 tablets per day it seems a bottle will run out quickly. There are no bulk purchase discounts or new customer incentives made available by the manufacturer. Shipping is an extra cost and there are no free shipping options. We were unable to find any evidence of a money-back guarantee or return policy for this product. In concluding our review, we liked that the product is made in an FDA-registered facility that follows stringent GMP processes for quality control and consistency. Secondly, the product comes in easy to use tablets that can be placed under the tongue and dissolved. The product is also free from preservatives, binders, artificial colors or flavorings. We do however have a number of criticisms of this product. It lacks any clinically proven ingredients that are essential as an effective IBS supplement such as contain digestive enzymes, BioPerine, turmeric, and peppermint oil. The dosage information was very minimal and there was an absence of information regarding warnings or possible side effects. Each bottle costs $28. We could not determine how many tablets are contained in each bottle so cannot determine if this is good value or not. At a dose of 15 tablets per day it seems a bottle will run out quickly. There are no bulk purchase discounts or new customer incentives made available by the manufacturer. Shipping is an extra cost and there are no free shipping options. There is no money-back guarantee offered by the manufacturer. We were unable to find any customer reviews for this product. Because of these weaknesses, we are unable to recommend that you buy this IBS treatment product.